This is a soft-focus lens where the image softness is controlled by the aperture ring. The aperture works manually from F2.8 to F5.6 ("stop down" mode), and automatically from F5.6 - F32 (will meter at F5.6 in that range). This lens does not have the "A" setting on its aperture ring. Level of soft focus is adjustable with the aperture ring. Aperture operation: Manual (F2.8-5.6), Automatic (F5.6-32). This is an outstanding piece of glass. 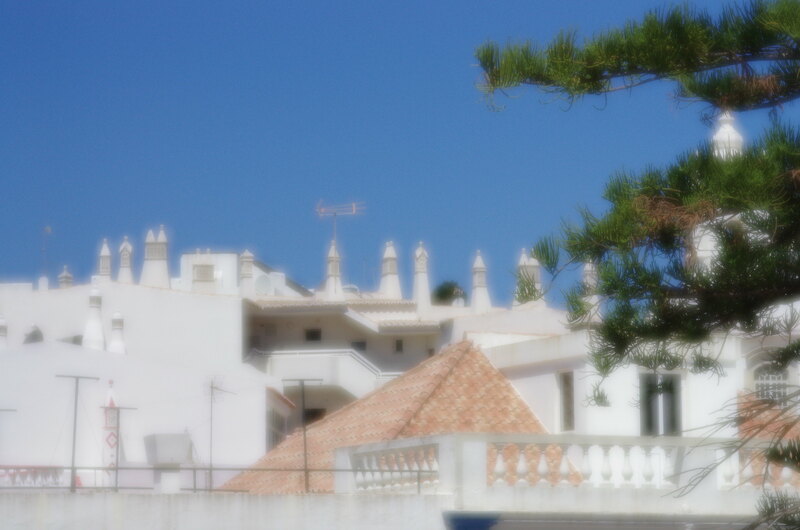 Of course very dreamy when using f2.8 to f5.6 but it´s also SHARP. This is a portrait machine and it will make wonders if your subject has a rough complexion. For portraits I find f4 - f5.6 to be perfect. Wider than that gives to much soft effect. It's an unusual lens so grab one if you can find it! It gives the photos a special glow. I used f/4.5 taking this photo. Dreamy is the word. The subject retains a considerable degree of sharpness but this is muted and masked by a soft 'haze', which is adjustable. It's a creative tool for producing moody and thought-provoking images, and great fun. No good for snapshooting because each shot needs care and time to set up. Although autofocus, you have to treat this as a manual aperture-priority lens (it has no 'A' lock). Set the mode dial to Manual. Set the aperture on the ring according the the degree of softness you want (between f2.8 and f6.3). From f8 onwards it performs like a normal lens and is bitingly sharp. Then press the 'green button' to set your shutter speed. If there are significant areas of white or other light tones in the picture, you may have to back off a tad on exposure. Some experimentation is necessary but that's half the fun. At 305g the lens feels solid and well built. The deeply recessed front element makes protective filter and hood unnecessary. Autofocus on my copy is quiet enough. On digital it's effectively a 125mm that focuses down to 12 inches. After reading what HermanLee says above, I shall rummage in the attic for my old 2x converter and try it with that - a 255mm close-focusing 'soft', wow! Cannot be rated on the usual measures, but for what is does and the way it does it I give it 9.5. Rare, and a fascinating challenge if you find one. I paid £225 a year ago for mine in mint condition. Pros: Great optic, dreamy soft focus, lightweight. Cons: Very difficult to control the soft focus. Loud AF. 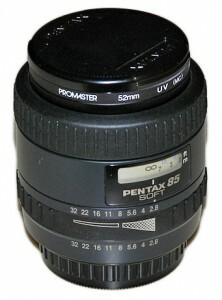 This is one of the Pentax rarest prime lens. It's superb optically for portrait work. It gives dreamy look to the result. Some people said that they can achieve it with software but believe me, it's not that simple. This lens is very lightweight and joy to use in wedding and big halls but not in a small room. To be able to use this lens well, ones need to practice with it a lot to be able to control the lighting. It's not an easy lens to shoot with and it could be frustrating sometimes. But once you know how to handle it, it will help you to take some of your memorable shots. The softness is greatly affected with the amount of light on and around the subject. The AF makes loud noise, I don't know why. But it's pretty loud. It also has a very close focusing distance, probably around 12-14 inch. That's very close for a tele lens like this. Maybe that's why it can be used for macro as well. When combined with Tamron 1.4x TC, it focuses even closer. I don't have this lens anymore and now I am kind of regret of selling it.